Lucia Sera, "A Boatload of Idioms: Over a thousand English expressions"
Idioms are often described as the spice of a language because of the colorful way they can sum up an idea (for example, "mad as a hornet" is an illustrative, yet simple expression to show anger). However, idioms can be one of the most difficult areas to learn, especially in English. Even the best student's speech will remain a bit stilted without a working knowledge of idioms; indeed, they are the final measure of fluency. 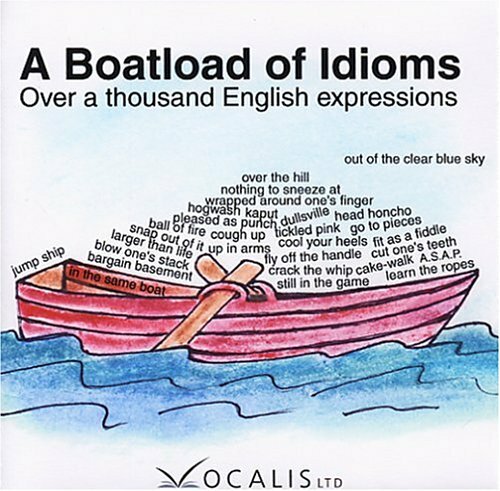 A Boatload of Idioms presents more than a thousand idioms, along with definitions, origin explanations (where known), sample sentences and exercises. Also, a search index is offered as a quick reference tool. This program is aimed at intermediate-to-advanced ESL students as well as native English speakers who want to improve their language abilities. Once idioms are easily understood, speaking English can be a "cake-walk". Last edited by arcadius; 12-13-2017 at 11:45 PM.